This website is owned and operated by TRAVEL ACTIVE AU PAIR PTY LTD trading as Smart Au Pairs Educational Exchange and is made available to you on the following terms and conditions. By using the site and the services you are deemed to accept these terms and conditions and any other terms and conditions which expressly apply to the services and information provided by Smart Au Pairs. If you do not wish to be bound by these terms, please do not register or use this website. 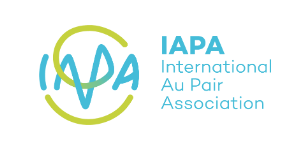 Our terms are in accordance to the International Au Pair Association (IAPA) Program Guidelines and in line with the International Code of Conduct. It is our intention to get official recognition for the au pair program as Cultural Exchange under an informal arrangement and therefore be excluded from employment responsibilities and newly introduced backpacker tax. I/We understand that by applying to become a host family with TRAVEL ACTIVE AU PAIR PTY LTD, trading as Smart Au Pairs, we accept these terms. Smart Au Pairs carefully reviews each host family application and reserves the right to decline family applications. Reasons may include, but are not limited to, locations outside our support area, children’s ages or special conditions, role includes responsibilities outside the program. If Smart Au Pairs initial review is to consider the family application further, Smart Au Pairs will conduct a detailed telephone consultation with a view to start the search. The search is activated with payment of non-refundable activation fee, verification of family references and receipt of a Police Check for every adult (18+) living in your household. Smart Au Pairs agrees to source and introduce au pair candidates for the host families consideration for any placements up to a 6 months’ duration with the host family and Smart Au Pairs agrees to provide reasonable ongoing support for the duration of the placement. The host hamily confirms that all information supplied to Smart Au Pairs is honest, correct and complete. By providing information, the host family consents to the processing of this information in accordance with the Smart Au Pairs Safety and Privacy Statement. Smart Au Pairs supplies details of selected candidate(s) to the host family and family information to the selected candidates. Au pair profiles should only be viewed online and strictly no downloads or copies are permitted in line with European Data Protection defined in GDPR. If no relevant candidates are available at the time of activation, details of suitable candidates will be provided as soon as possible. The host family can communicate with some or all of the candidates introduced. Every effort is made by Smart Au Pairs to ensure that candidates introduced are suitable for the Au Pair Program. It is the responsibility of the host family be satisfied as to the suitability of the candidate for their family. The au pair selected by the host family may assist with day-to-day childcare duties. We suggest that families limit the amount of hours to a maximum of 35 hours per week and not more than 10 hours per day. Au Pair should not be asked to provide sole care for babies or overnight care as they are not qualified child-carers, but joining your family for a cultural exchange experience with limited responsibility. • An opportunity to be treated as a member of the family and take part in daily family life as a ‘big sister’ (or brother). This may include the inclusion of the au pair on family holidays. • Free board and accommodation in a private, fully furnished room in a clean, safe and comfortable home. • Two free days per week, at least every alternate weekend off and public holidays free, to allow the au pair the full benefit of cultural experience. The host family agrees to read and adhere to the Smart Au Pairs’ Program Guidelines ‘What is an au pair’. It is the responsibility of the host family to assess the driving ability of the au pair before granting permission to operate any vehicle belonging to the host family and to include the au pair as a driver on the vehicle/s insurance policy. In the event of an insurance claim, the host family is responsible for paying any excess relating to the claim if the au pair was required to drive the vehicle as part of her duties. If the vehicle was used for private use, the au pair is responsible for the excess relating to the claim. Vehicle use and car insurance excess is to be specified on the au pair invitation. The Host Family understands and agrees that the Au Pair is not an employee/agent of Smart Au Pairs or the Au Pair Program. In Australia, there is no generally applicable or acceptable legal definition of an au pair. There is no intention to create a contractual, legal or employment relationship between the Host Family and the Au Pair. The Smart Au Pairs’ Invitation is signed to acknowledge that the au pair is not an employee; does not have and does not intend to have a contract with the Host Family or Smart Au Pairs. The Au Pair’s motivations are to take part in an Au Pair Cultural Exchange Program to experience family life in Australia. They are to receive the full benefit of this. We recommend that you seek advice regarding your financial responsibilities, including Australian tax and Super requirements. We strongly recommend that all host families contact their Home & Contents insurance to inform them that you have an au pair residing in your home. Every au pair must apply for the appropriate Working With Children’s check in the State where the Host Family is residing. The Host Family is required to verify the application of their au pair, prior to her being given childcare responsibilities. Any child-safety concerns must be reported to Smart Au Pairs immediately. The placement fee is due the moment that Host Family invites one of our au pairs. Smart Au Pairs will e-mail placement fee invoice and payment will automatically be processed on the card provided for the activation fee, unless otherwise agreed. The Host family will be held liable for any charges incurred in the debt recovery of overdue invoices. There is no warranty as to the satisfaction or the compatibility of any candidate as an Au Pair for your Host Family. Smart Au Pairs will make reasonable attempts to resolve difficulties, however, if Smart Au Pairs determines that the placement cannot continue, we aim to facilitate a replacement. Our long term fee includes a free 30 day replacement guarantee. The Host Family is required to give 2 weeks’ notice in the event they decide to end the placement. During this rematch period the host family is required to provide free board and accommodation to the au pair. Pocket money or completion bonus is not to be reduced without written approval from Smart Au Pairs. In the event of a candidate needing to leave during the guarantee period, either for personal reasons or due to unsuitability, the Host Family must notify Smart Au Pairs in writing immediately and within the guarantee period stating the reason for unsuitability. Unsatisfactory levels of English are not regarded as reasonable grounds for a free replacement and should be assessed during interview. Smart Au Pairs cannot guarantee that a candidate is available for immediate replacement. Due to seasonal shortages, a delayed start date may be encountered. A replacement is offered on a like-for-like basis. Replacements are subject to punctual payment of full fee and full compliance with terms. If Smart Au Pairs determines that the discontinuation of the placement is due to the Host Family’s failure to abide by these terms, or the Program Guidelines or, if there is a material deviation from the role agreed with Smart Au Pairs, the replacement guarantee becomes void. Upon expiry of the guarantee period it is agreed that the engagement is satisfactory. If the candidate leaves after the guarantee period, agency fees apply for further placements. In the unlikely event that the au pair decides to cancel after initial acceptance, Smart Au Pairs will find a replacement as per replacement guarantee. If the Host Family decides to cancel after the au pair has accepted, the placement fee still applies, the placement fee applies to cover re-match costs of au pair. Activation fees, credits and replacements are valid for 3 months unless otherwise agreed in writing. The Host Family unconditionally releases Smart Au Pairs from any claims for damage, injury, loss or expense of any sort incurred in connection with hosting an au pair. This release includes, but is not limited to, liability for any intentional or negligent acts or omissions by the au pair, agents acting on behalf of Smart Au Pairs or members of the team of Smart Au Pairs. The Host Family understands that the Au Pair is not an employee/agent of Smart Au Pairs. It is the responsibility of the Host Family to seek independent advice regarding any responsibilities relating to employment law, tax and superannuation. This application shall be governed by the law of the State of New South Wales and any disputes arising under this Application that cannot be settled amicably shall be brought before the courts sitting in the State of New South Wales, Australia. I/We understand that this is a legally binding contract and that we have been advised to seek legal advice if we do not understand the terms. By agreeing to these terms, we acknowledge that we have read and understand the provisions of this contract and agree to abide by these terms. Fees & terms are subject to change without prior notice. Smart Au Pairs’ Child Safe Policy.